Announcing the Winter and Spring dates for the Wellness Initiative programs, lead by Laura Rice-Oeschger, LMSW. The dates and program summaries are listed below. Registration is required for all programs. Please register by calling 734-936-8803 or register online here. 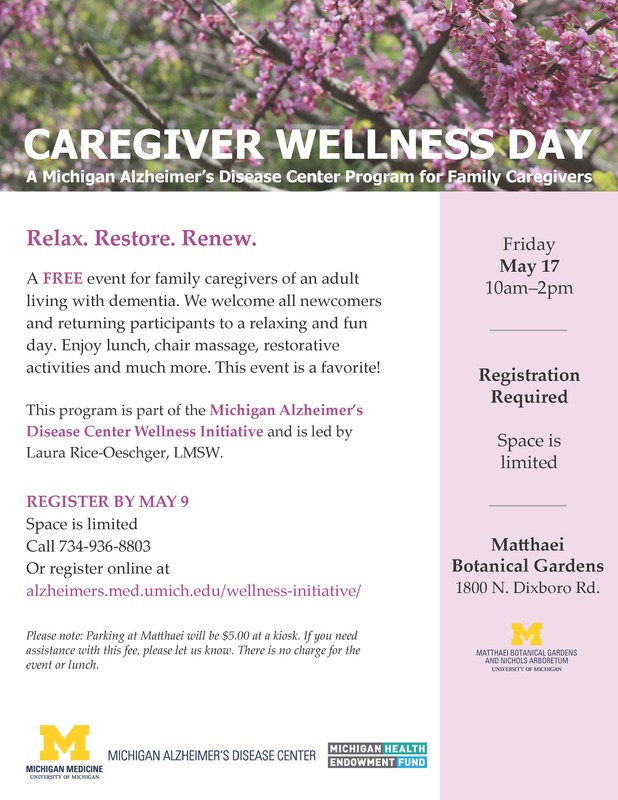 All programs are held at the U-M Matthaei Botanical Gardens. 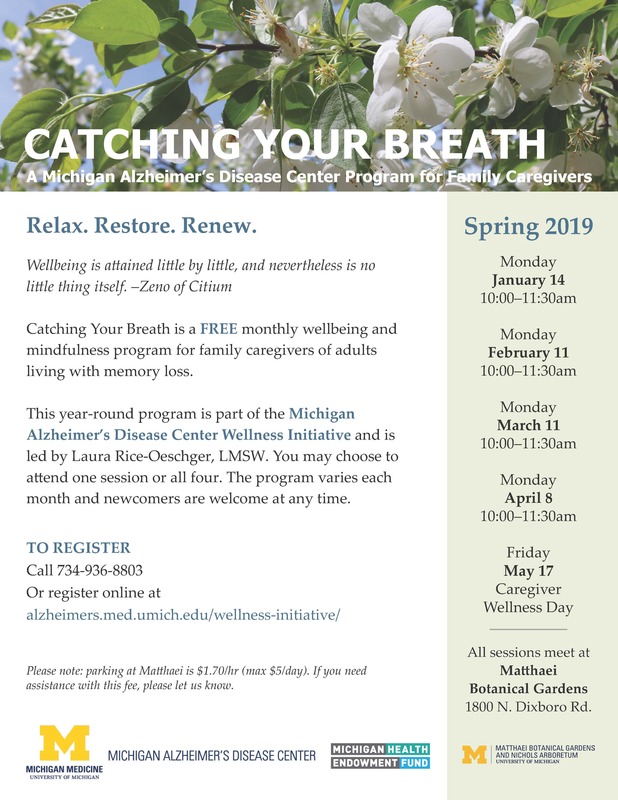 Catching Your Breath (CYB) is a FREE monthly wellbeing and mindfulness program for family caregivers of adults living with memory loss. You may choose to attend one session or all sessions. The program varies each month and newcomers are welcome at any time. 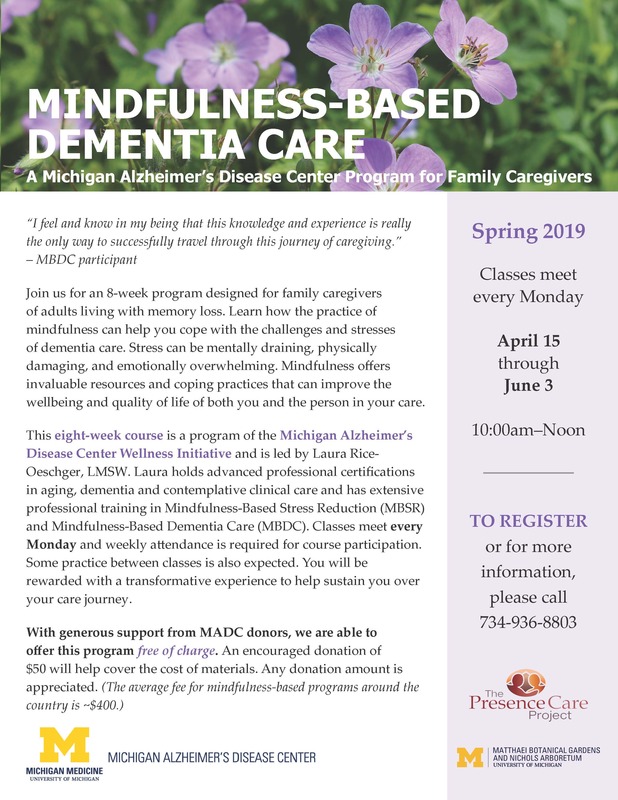 Join us for an 8-week program designed for family caregivers of adults living with memory loss. Learn how the practice of mindfulness can help you cope with the challenges and stresses of dementia care. Classes meet every Monday and weekly attendance is required for course participation. Some practice between classes is also expected. 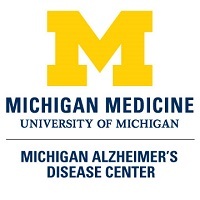 A FREE event for family caregivers of adults living with memory loss. We welcome all newcomers and returning participants to a relaxing and fun day. Enjoy lunch, chair massage, restorative activities and much more. This event is a favorite! Space is limited.